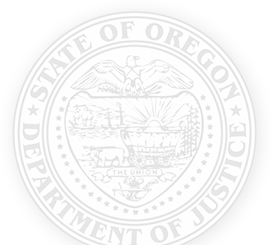 The General Counsel Division of the Oregon Department of Justice serves state officials, agencies, boards and commissions. The Division's legal services include giving legal advice and representing agencies in administrative hearings. The Business Activities Section represents more than 50 of Oregon’s professional and occupational licensing and regulatory agencies, including the Department of Consumer and Business Services », Oregon Public Utility Commission » and Teacher Standards and Practices Commission ». Business Activities Section attorneys give those agencies legal advice, and represent them in regulatory and administrative enforcement proceedings. The Business Transactions Section assists other attorneys in the Oregon DOJ, and frequently represents state agencies in informal resolution of procurement and contract disputes. The Government Services Section provides legal services to a wide range of state agencies. The Section also anticipates legal issues and works with agency personnel to solve them. The Health and Human Services Section provides advice and administrative litigation representation to state agencies that help Oregonians live full and healthy lives. Section attorneys help agencies comply with laws and regulations of state and federal health and welfare programs. The Labor and Employment Section serves as legal counsel on labor and employment issues related to all of state government, including state agencies and quasi-independent boards and commissions. The Section advises and trains its clients on the broad spectrum of labor and employment law. It also represents them in labor arbitrations and in administrative hearings and proceedings. The Labor and Employment Section is specifically assigned as counsel to the Human Resources Services Division and Labor Relations Unit of the Department of Administrative Services », the Employment Relations Board » and the Fair Dismissal Appeals Board ». The Natural Resources Section provides the legal services Oregon’s environmental and natural resource agencies need to help them to carry out their missions and responsibilities. The Tax and Finance Section represents clients in administrative hearings and extends its litigation practice to trial and appellate courts. On the tax side, the Section represents the Department of Revenue in the Oregon Tax Court, the Oregon Supreme Court and in federal courts. Tax advice and litigation encompasses property tax, personal income tax, corporation income and excise taxes, other types of state and local taxes and local budget law procedures. Tax attorneys help other state agencies on tax issues and represent the state in tax matters before the Internal Revenue Service. On the finance side, the Section advises the Office of the State Treasurer and the Oregon Investment Council on state banking, investment and borrowing activities. Finance attorneys assist other state agencies with loan negotiation, grants or other financial transactions. In addition, the Tax and Finance Section assists and represents the Oregon Public Employees Retirement System (PERS) » on issues related to retirement, disability and death benefits.